The last week of school, we borrowed the SaddleBrooke Community Outreach (SBCO) Kids’ Closet van on Monday, Tuesday and Thursday and borrowed the IMPACT of Southern Arizona’s (formerly Catalina Community Services) truck on Wednesday to deliver the gifts to Oracle, San Manuel, Mammoth and San Carlos. 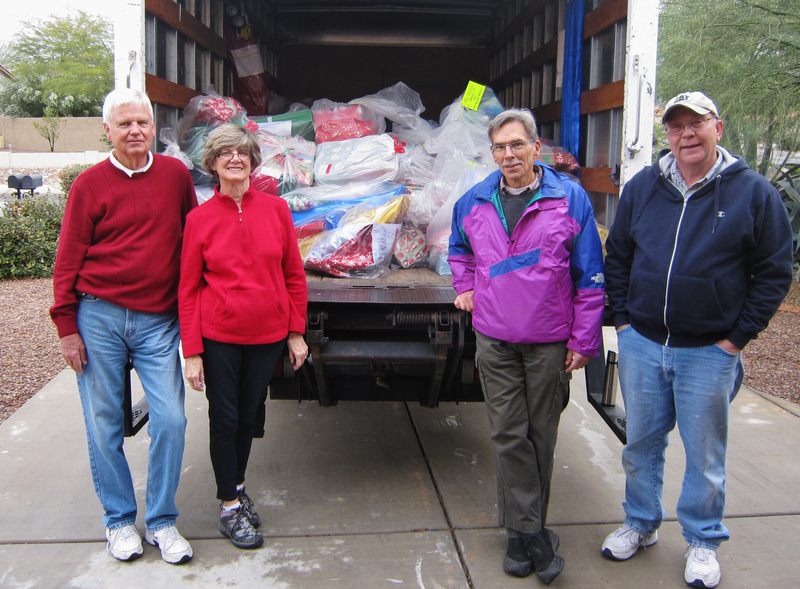 Our truckers drove about 400 miles to get the gifts to where they could be delivered to the needy families and Indian children. We work closely with Tribal Social Services as well as school principals and superintendents to ensure that we are serving truly needy children and families. Many thanks are due to all the shoppers, wrappers, truckers and loaders who contributed their time and energy to buy, wrap the gifts and get them all delivered on time. We especially want to thank the unit and group coordinators who are the heart and soul of this operation. Without their dedication, the Adopt a Family/Child program could never work. They keep everyone on schedule (including us) so that the gifts can be bought, wrapped and delivered on time. 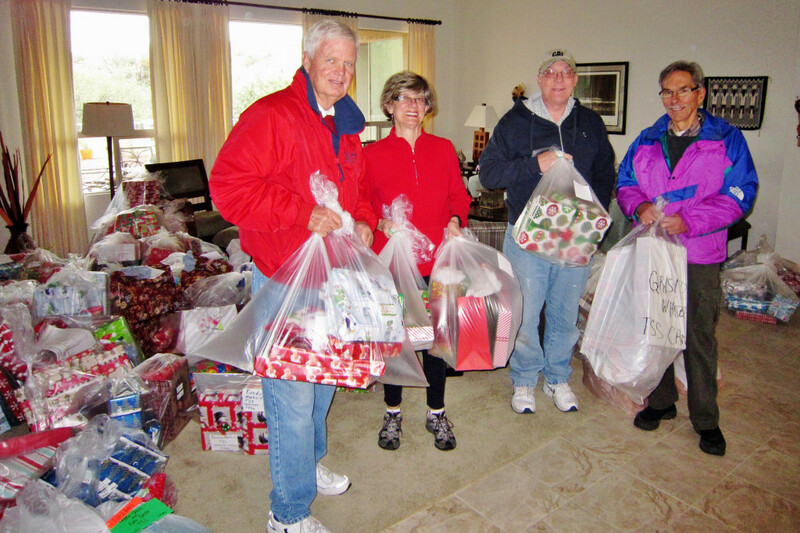 This year donations for the SBCO’s Adopt a Family/Child Program were substantially improved over last year. The program donors provided gifts for 98 families in Oracle, Mammoth and San Manuel as well as 249 Apache children on the San Carlos Reservation.